This might be one of the most beautiful recipes we’ve ever shared. 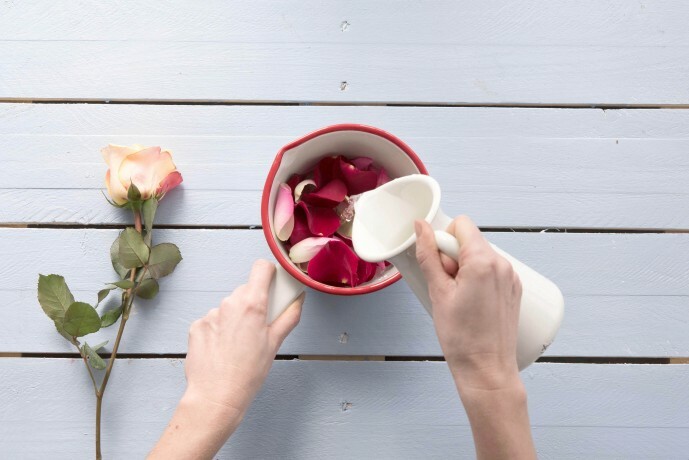 It’s brightly colored and filled with flowers- how perfect to encourage the onset of spring! 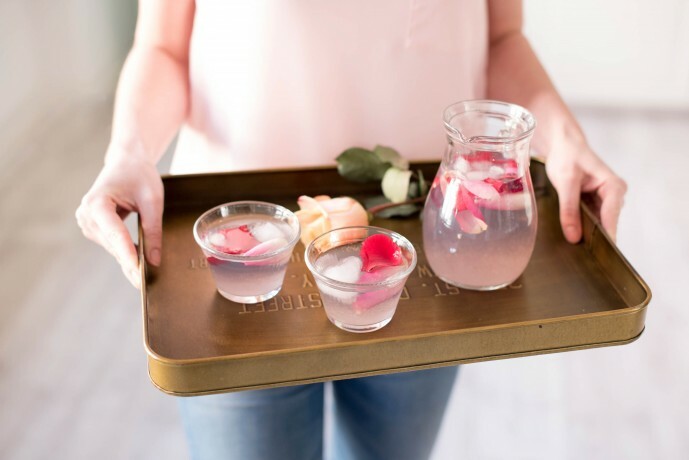 Rose Water is good for your skin, good for your health, and most importantly, appealing to the eyes when served at cutesy brunches. 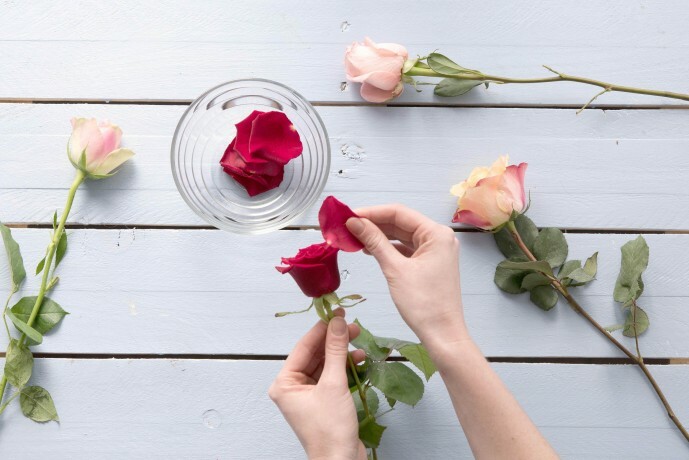 Rose water contains vitamins A, C, and E – all antioxidants that are great for making our skin look radiant by reducing wrinkles, lightening dark spots, and tightening pores. Pretty AND good for you? Sign me up! The other interesting thing about this recipe? It requires a stop at the florist instead of the grocery store. 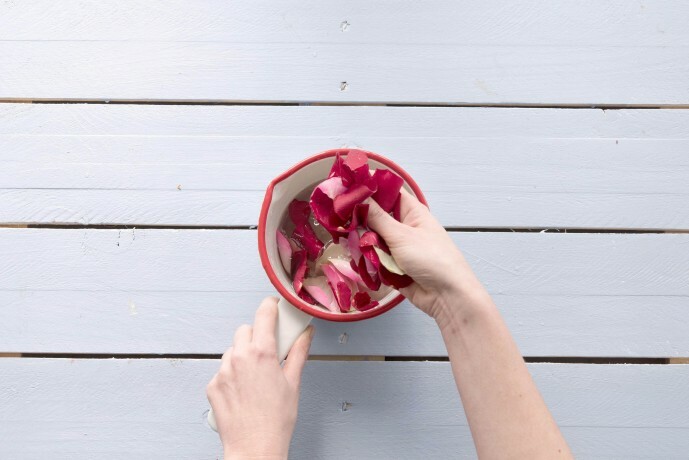 Pick out a bunch of beautiful pink or red roses and peel the petals from the flower. Rinse the petals in some cold water. Add them to a large pot with enough distilled water to cover the petals. Heat at medium heat and cover with a lid. Leave on the stove to cook until the petals lose their color. 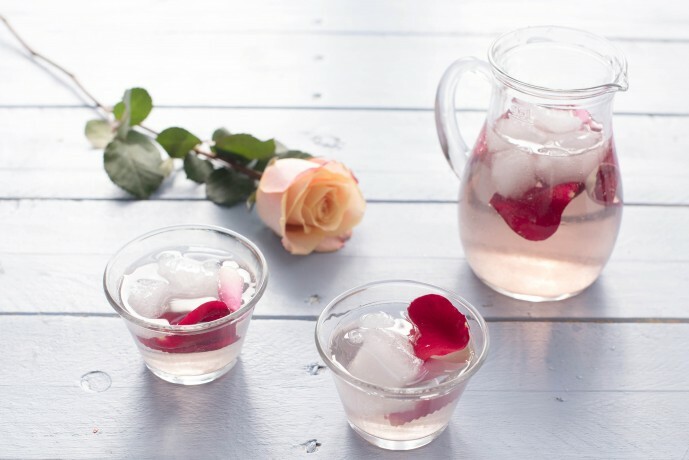 Drain the water and serve in glasses with ice, and a few rinsed petals for garnish. If you’re making it ahead of time, make sure to store in a cool place! Serve with pride – look how delicate and fancy! Looking for more summery drink inspiration? These infused waters are calling your name. This is one of the coolest and cutest things I’ve ever seen! It also sounds really fun to make. I can’t wait to try it out! We’re so glad you think so! Thank you for reading, and being part of our family!